Is Firefox OS the next big thing? Firefox OS is brought to you by Mozilla, a global nonprofit organization that emphasizes principle over profit. Firefox believes in a Web that should be cared for, not a commodity to be sold. Firefox OS is created by Mozilla which created one of the best and most widely used Web Browser Firefox and most likely, you are reading this article through it. Adaptive App Search. Firefox provides an adaptive search feature which enables the user to get information on any subject right when the user needs it. Firefox Marketplace. Marketplace is a source for the best apps for Firefox OS. The app center is growing and enthusiast all over the world - the same people who contributed in the development of Open Source software and distributions are constantly working to improve it. Open Source browser. 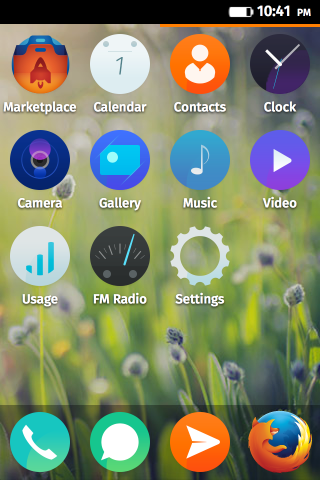 Firefox OS contains the free and open source web browser Mozilla Firefox - the fast, smart, safe way to connect to the web. Integration with the social media. Any updates from Twitter and Facebook will be right there in your notification, anywhere. Other features. Firefox OS provides built in style features for fun, creative shots. You can enjoy the FM Radio and it is loaded with navigation tool, includes directions, traffic and local transit information. Is Firefox OS the next big thing. Will Firefox OS be able to resist the dominance of Android and iOS? Time will tell. Firefox OS is still in the initial stage and has lot to cope up. Android has a large following and with Nokia acquisition by Microsoft, Windows 7 is getting its market share too. Its upon the enthusiast and the manufacturers to adopt it and bring open-ness in the Mobile OS. I am personally looking for an Firefox OS device in India. The day it will be released, I will have. Will you?